If a book has an asylum in it, I’m always game. But this one was a surprise; Blue Asylum has so much to offer. In the time of the war between the South and the North, wife of a Southern slaveholder is sent to an asylum. Here she meets a cast of characters including the self-proclaimed crazy son of the psychiatrist, a woman that swallows small objects and a soldier that uses the colour blue to keep his war traumas at bay. But Iris doesn’t believe she’s mad; and there is only one thing on her mind. Freedom. Ms Hepinstall writes with a dreamlike quality that fits wonderfully in this story. The way she describes the island where the asylum is located, to the sea and the creatures. It was beautiful. If it weren’t for the asylum, I would have loved to live there. Now as for the asylum itself, it was like a fresh breeze into the genre. Usually asylums are bleak places, with small empty rooms with only a metal bed. A place where behind a pretty façade there are horrible things going on. But none such thing in Sanibel Asylum. The place is light and breezy. The rooms have comfortable beds and paintings on the wall. The patients can have walks on the beach and a weekly swim in the sea. They dine together with the psychiatrists family and eat the same fine food. I loved the contrast between the beautiful asylum which is a prison, and the freedom outside where there is a war going on. The story is about so much more than a woman fighting for her freedom. There are so many underlying themes such as faith, war, slavery, family, destiny and of course love. What made Blue Asylum a five-star read for me is that even though it contains so many heavy themes, it never gets preachy. There is no narrator telling you “This is the way it should be”. There are only the characters, fighting their own situation, and discovering themselves while doing it. Blue Asylum will keep you on the edge of your seat. There is a lot of mystery going on, and the secrets won’t be revealed until the very end. Put on trial by her slaveholder husband and convicted of madness by a Virginia judge, Iris Dunleavy is sent to Sanibel Asylum to be restored to a good wife. But Iris knows her husband is the true criminal; she is no lunatic, only guilty of violating Southern notions of property. The institution calls itself modern, but Iris is sceptical of its methods, particularly the dreaded water treatment. 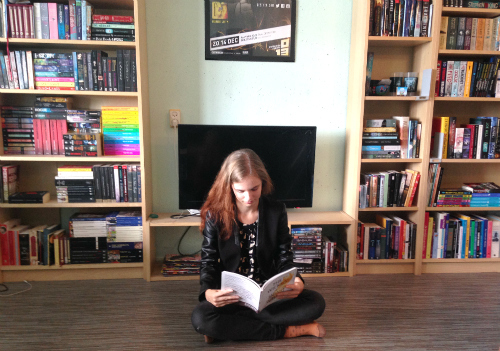 In this isolated place, she finds love with Ambrose. But can she take him with her if she escapes? Will there be anything for them to make a life from, back home? 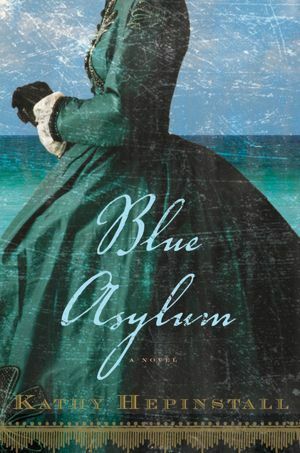 Blue Asylum is the rich, absorbing story of a spirited woman, a wounded soldier, their impossible love, and the call of freedom.